Moving to a new spot, whether it is your business or your home, can cause an immense amount of pressure and stress. You first have to spend the time searching for the perfect location, and then you have to forward your mail and redirect bills, not to mention the long list of details that must be accomplished before you are comfortably in your new place. TOTALPACK is aware that moving is a demanding process for anyone, and we try to alleviate as much anxiety as possible by offering a wide variety of quality moving boxes. We have a place to store all of your belongings from books to porcelain dishes; we even have boxes for your king, queen, and twin-size mattresses. 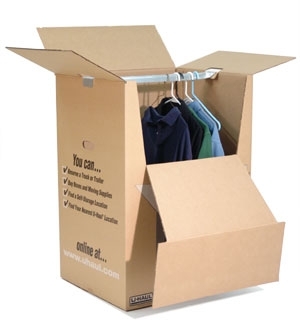 Our most popular moving box is your typical square, single wall cardboard container (18” x 12” x 12”). They meet industry standards and are constructed from a strong corrugated single board rated 32 ETC (200 lb test). 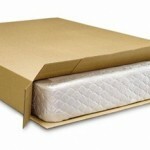 These moving boxes are very durable and fabricated from C-flute cardboard. C-flute cardboard has a very high stacking strength and a higher resistance to being crushed. It is one of the most commonly used flutes for shipping boxes and tends to perform the best when holding materials such as glass, furniture, and food products. We also offer a double wall moving box, whose measurements are 18” x 18” x 28”. This durable wall structure is made of one layer of B-flute and one layer of C-flute cardboard. Stronger than a single wall structure, double wall boxes enable heavier objects to be shipped and should be used when a stronger box or extra padding is needed. Are you apprehensive about folding and damaging your delicates, formal dresses, and business suits? There is no need to worry! We have a wardrobe moving box made especially for this purpose. With the addition of a metal wardrobe bar, you can hang your clothing and assure your belongings will remain wrinkle and crease-free in transit. These moving boxes are made with a large window on one side for easy access and positioning. Forget about digging uncomfortably through huge boxes; simply hang up your important pieces, close the side window, and say goodbye to your added anxiety. Dumpster diving at your local grocery or liquor store for moving boxes is a thing of the past. TOTALPACK has a specific box for all of your personal possessions. Whether you need a box to store your little black dress or to ship your king-size mattress, we provide you with an effortless solution. Call 305-597-9955 and speak with a representative today to discuss your options!